Are you or have you been experiencing any of the following and think you can do something about it if only you knew how or where to start? Are you eating the best diet possible to treat your condition? We will assess your current diet and help you develop a meal plan that will allow you to learn healthier eating habits. We offer private one to one consultations with certified nutritional specialists in our Lucan, Portrane and Drogheda Clinics. Phone and Skype consultations are also available. To enable your company to perform at its best you need your employees to perform at their best. Mid-afternoon slumps, brain fog, absenteeism and stress can all be reduced if not avoided by simple healthy eating and lifestyle changes. We are pleased to offer Wellness Programmes for employees wishing to improve their health, maximise performance and can develop a nutritional/wellness plan to address any underlying health concerns. Your key performers who are consistently exposed to high levels of stress, work long hours and have a compromised work/life balance may benefit from an in-depth nutritional and lifestyle support over a period of time. We can come to your company for a day/few days and see your employees on an individual or group basis, conduct body composition analysis and draw up personalised programmes tailored to each individual (average time 15 minute consultations). We can run this programme over 6 weeks with or without individualised consultations. Programmes can also be tailored to suit company requirements. The Importance of Blood Sugar Balancing. The Good and Bad Fats in the Diet. In addition to the above, we also provide lots of very simple healthy recipe and snack ideas which are easy to source, prepare and cook. Samples of different foods that can be provided include dips like hummus or guacamole, protein balls/energy bars, smoothies, juices, salads and more over this 6 week programme. Sampling these foods is fun, interactive and hugely rewarding! We enjoy working with your employees, helping them get healthier and feel more energised, happier and fitter by embracing simple diet and lifestyle changes. Our delicious recipes and super tips over the 6 weeks make it a very simple and easy transformation for all involved. The Happy Gut Clinic offers an array of functional laboratory tests through recognised Irish and UK laboratories. Many of our clients opt to have screening tests which can provide further insight into nutritional status and/or biochemical imbalances. Deciding which test may be most appropriate for you will depend on your individual needs and requirements. 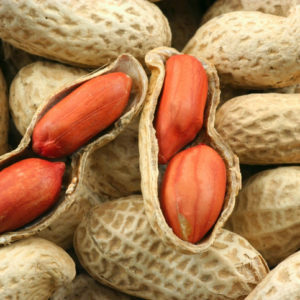 We offer extensive allergy and food intolerance/sensitivity testing with Fitzwilliam Food Testing. There are 3 different options to choose from and your therapist can advise you on which test is required. Diet shouldn’t be a one-size-fits-all approach which is why tailoring your diet to your DNA is ideal. 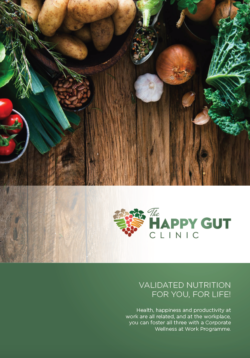 At The Happy Gut Clinic you can now get a simple home DNA Test that will give you in-depth information about the foods, lifestyle and exercise that’s tailor-made for you as an individual. This is the era of personalised nutrition and exercise. 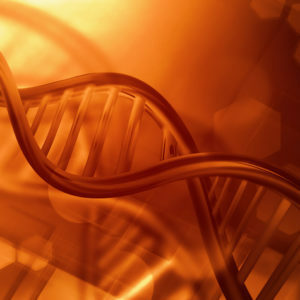 Your results will tell you exactly what you should eat in relation to your individual genes and your genetic make-up. It’s like a game of cards where you can’t change the hand you’ve been dealt but you can change the way you play and you can learn to play better, smarter and play to win! A DNA Test will show you what cards you hold; how you play is up to you and your Nutritional Therapist. We interpret your results and tailor a Wellness plan according to your specific genetic profile which may include a higher requirement for certain nutrients, a reduction or elimination of certain food groups, or a particular combination of nutrients to support key body functions. This approach can potentially prevent certain predispositions to disease occurring or can specifically focus on what’s happening in your body right now. There is a vast amount of evidence that adult health issues are result of poor infancy and childhood nutrition. 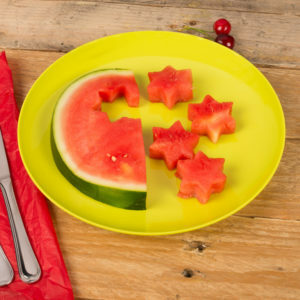 We all want the best for our children, however with clever marketing and so much conflicting information it is very hard to make a right food choices for our little ones. Our job is to provide you with right advice, tailored to your child’s and your family needs. 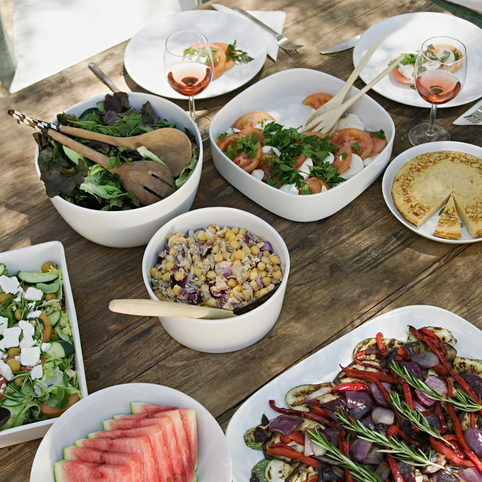 As parents ourselves we know how busy family life can be, so all of our advice is realistic with plenty of tips to make meal planning easier. You are probably already aware that some of the foods your child eats can affect its behaviour, concentration levels and general well-being. 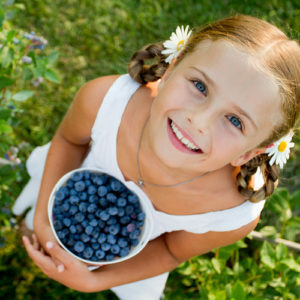 Healthy eating is the best gift you can give to your child and to yourself. Transform the way your family eats, simply and easily to see the benefits in your children. Teach your child about making better food choices. Kids are very inquisitive so this is the best time to educate them and lay a foundation for your children to become healthy adults. For example: a crunchy carrot stick & hummus is a better option than a muffin or cheesy strings and tastes better. Tips and tricks of how to incorporate more vegetables into everyday foods i.e. have you ever tried carrot & apple muffins??? Help in supporting the immune system to avoid missing school. Did you know that 80% of the immune system is made in your Gut !! …. By supporting gut health, you can avoid unnecessary and recurrent infections and those unexpected sick days from school. Help in supporting specific conditions like constipation, digestive issues, asthma, behavioural issues, and eczema. For example did you know that dairy may be a trigger for eczema and asthma. Contact The Happy Gut Clinic for dairy alternatives. Educate you as a parent on how to give your child the best food options for breakfasts, lunches, snacks and even simple yummy treats. The Happy Gut Clinic would be happy to attend your local school and pre-school for fun filled, healthy demo talks and food tastings. Check with us today for availability!